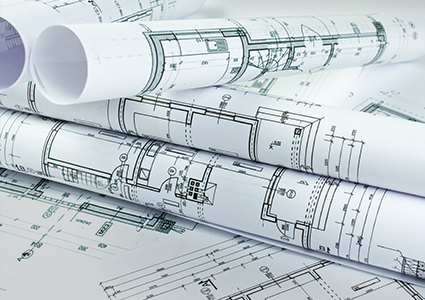 Whether you are a prospective homeowner planning your dream home, or a contractor building custom or production homes, King Engineering can accommodate all your architectural drafting needs while providing and closely coordinating any structural engineering requirements of the project. The best way to start any project of this type is with an initial free consultation in our office or over the phone. During this stage, we will go over every aspect of your project with you. If you have sketches, photos, samples, or anything else that will help us understand your vision for the design, we will use them at this stage to help achieve your goals. We can also share our past project experiences with you of what to do and more importantly what NOT to do! From this initial discussion, we will draw up a proposal for our perceived scope of design services, compensation, and proposed design schedule. If our terms are agreeable to you, we will then use the most advanced computer aided drafting (CAD) and building information modeling (BIM) software to produce high quality artistic renderings, detailed construction drawings, and energy usage data (using the Department of Energy’s REScheck software) necessary for obtaining a building permit and ultimately to be used for the actual construction on your project. We believe what sets us apart from the competition is that we provide consummate professionalism with knowledge that can only be obtained by our professional engineering qualifications combined with over a thousand projects worth of design, construction engineering, building science, and forensic experience, ensuring our clients enjoy the best possible results. Because we have expertise in every step of the design process from planning, modeling and drafting, to engineering and construction, we are able to provide a complete "one-stop shop" experience. We prefer to take on projects in their entirety and produce fully detailed documents, but if your budget only allows for a watered-down set of plans that still meets the basic requirements of the jurisdiction and for constructability, often referred to as a "builder's set", we are definitely willing to negotiate our scope in order to earn your business, and you will receive the same level of priority and quality of work that we provide to all our clients.